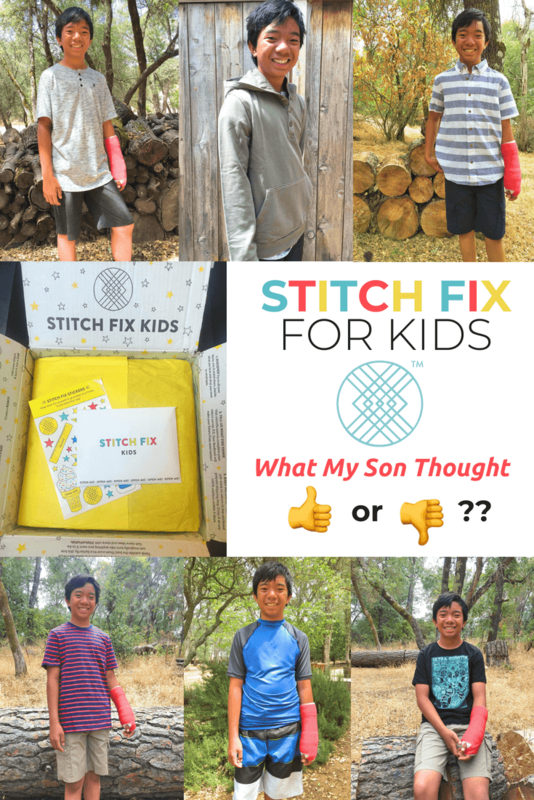 When I asked my oldest son Sam (13) if he would like to try the new Stitch Fix for Kids, he was so excited! With 4 boys, almost all of our kids clothing is either thrifted or hand-me-downs, so this was a special treat for him. Since I already had a Stitch Fix account for myself (which you don’t need to try the kids service out), signing up for the Kid’s Stitch Fix couldn’t have been easier… I just logged-in at stitchfix.com/kids & added a child profile. Just like the adult options, Stitch Fix Kids gave us a bunch of fun visual options to build a personality & style profile. They offer kids sizes from 2T to 14/16. It was interesting to watch my son help pick from the choices that he thought best fit his personality. I would have added Kind & Sassy to his selection, but otherwise I think he did a pretty good job of describing himself. We continued to pick through several options of what styles he thought would and wouldn’t wear. I love that there was a range of choices from Classic to Casual. 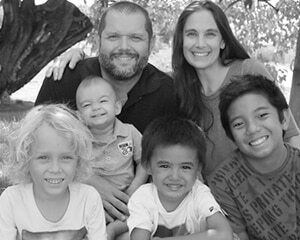 Of course being originally from Hawaii (and being my son), he immediately related to the comfy casual options. 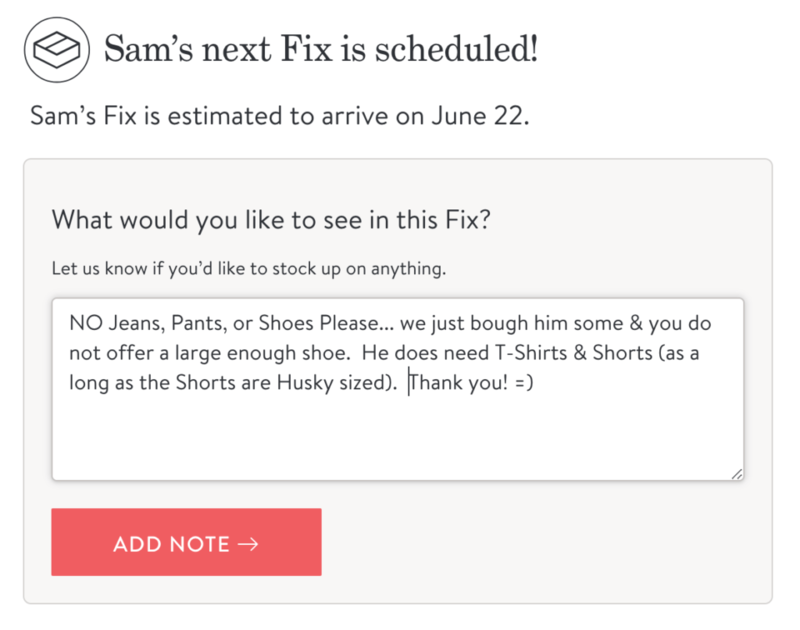 After working out my own Stitch Fix issues, I knew right from the start we needed to be specific when it came to describing EXACTLY what he wanted/needed. 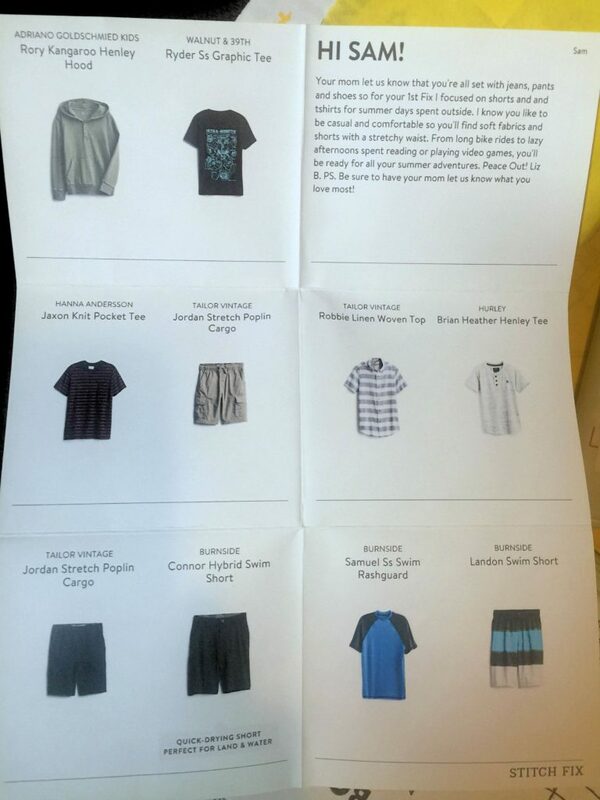 So, during the checkout process, we wrote a note to his stylist letting her know we didn’t need pants or shoes. My son is at the top of the size range for Stitch Fix Kids and a little bit husky in his build, so I was really concerned about them being able to fit him well. They also didn’t seem to offer shoes in his size – teenage boys grow in random spurts, in random places! 4 Pairs of Shorts – This included 1 pair of Swimming/Board Shorts; 2 Cargo Shorts (Navy & Khaki); and 1 pair of Hybrid (wet/dry) Shorts (Black). 1 Short Sleeved Swim Rashguard (Blue) – This is a really nice rashguard, but I wish it would have coordinated better with the included swim shorts. 1 Pullover Sweatshirt (Olive) – Perfect for cool Summer evenings & Fall. The items were trendy & age appropriate, and of very nice quality. I believe my son would have picked these items out for himself if given a choice. Only one of the shorts didn’t fit (they had a button waist), but the other 3 fit him just right (they had an elastic waistband). Total Cost = $141 (which included all 10 items, the $20 styling fee credit, and a 25% discount for keeping all of the items). I think they totally nailed my son’s style & fit. I was super impressed that they listened to my request of no pants or shoes… and even more impressed at how reasonable the cost was for 10 High Quality items. 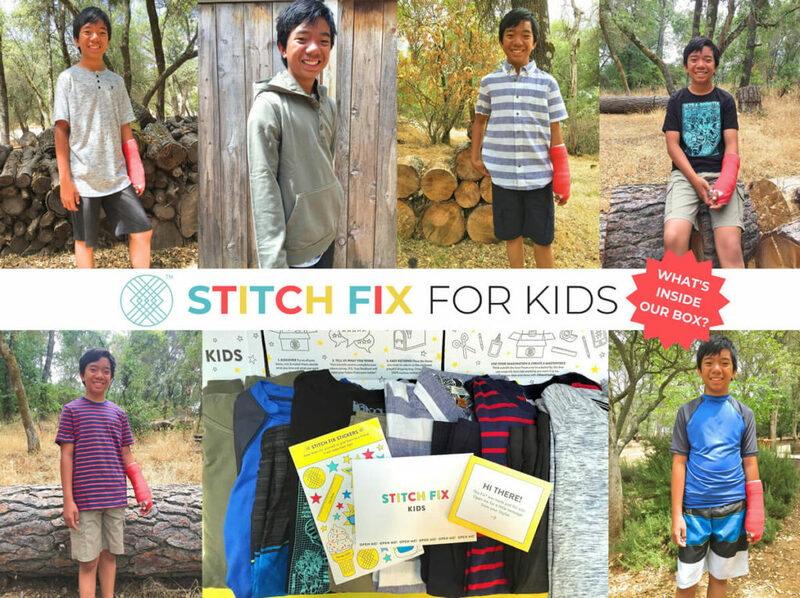 And because we decided to keep all 10 items, Stitch Fix Kids gave us an additional 25% discount! I do wish they offered larger shoe sizes & larger/husky clothing sizes for older teens. My son’s in that awkward stage where he’s right in between shopping the kids department & the mens department. If you’ve ever had a conversation with a teenage boy, this is about as deep as it gets when talking about clothing. 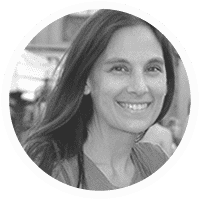 So, what did you think about Stitch Fix Kids Sam? What about the clothes son? Is there anything you wish they did differently? How about you… Do you think your kiddo would enjoy going through this experience & having someone else surprise them with a full box of cool clothes already styled? I love the idea for Back-To-School & for parents (like me) who don’t love to go clothes shopping. If you decide to try out the Stitch Fix Kids service, let me know how it goes!